Researchers claim that swapping to a Mediterranean diet rich in olive oil could help protect your bones in later life. It has been thought to improve heart health and stave off cancer because it is high in fruit, vegetables, fish, nuts, whole grains and “healthy” fats such as those in olive oil, while low in red meat and dairy products. Osteoporosis is often termed the “silent disease” as there are no symptoms prior to a fracture. However, once a person has broken a bone, their risk of breaking another bone – a fragility fracture – increases dramatically. They were randomly assigned to three different diets: Mediterranean diet with mixed nuts, Mediterranean diet with at least 50 ml of virgin olive oil a day, and a low-fat diet. 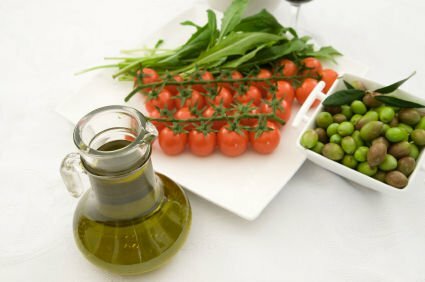 Dr. Jose Manuel Fernandez-Real, of Hospital Dr. Josep Trueta in Girona, Spain, said the consumption of olive oil has been already been linked to prevention of osteoporosis in experimental research, but the new study looked at direct effects in people. He said: “This is the first randomized study which demonstrates that olive oil preserves bone, at least as inferred by circulating bone markers, in humans. “It’s important to note that circulating osteocalcin was associated with preserved insulin secretion in subjects taking olive oil. Olive oil contains omega-6 fats, a form of “healthy” polyunsaturates which blocks the body’s response to inflammation in chronic conditions such as heart disease and arthritis.